All the questions you may have about the Alloy Gator product. Yes they can be used on run-flat tyres, view our gallery to see cars already fitted with AlloyGators on run-flats. Fitting to run-flats will require heavier force and we always recommend visiting one of our trained fitters for a supply and fit service. Yes some wheel/tyre combinations do work better than others. View the gallery close up photos to see what wheel/tyre combination work best. Every set of AlloyGators includes a suitability gauge which should be used to determine suitability prior to attempting to fit the product. If you are unsure, please visit our network of trained fitters for advice. The profiles can generally be re-fitted to the same wheels if you have new tyres, provided that they have not sustained heavy impact and all old glue residue is removed in order that the join can be effectively re-joined. We do not recommend re-fitting damaged profiles. The “AlloyGator” alloy wheel rim protectors are not recommended for machine polished or diamond cut alloy wheels. Although fitting the product will provide superior protection against kerb damage, due to existing imperfections in the lacquered wheel surface our product may increase the risk of moisture retention and accelerate wheel degradation. 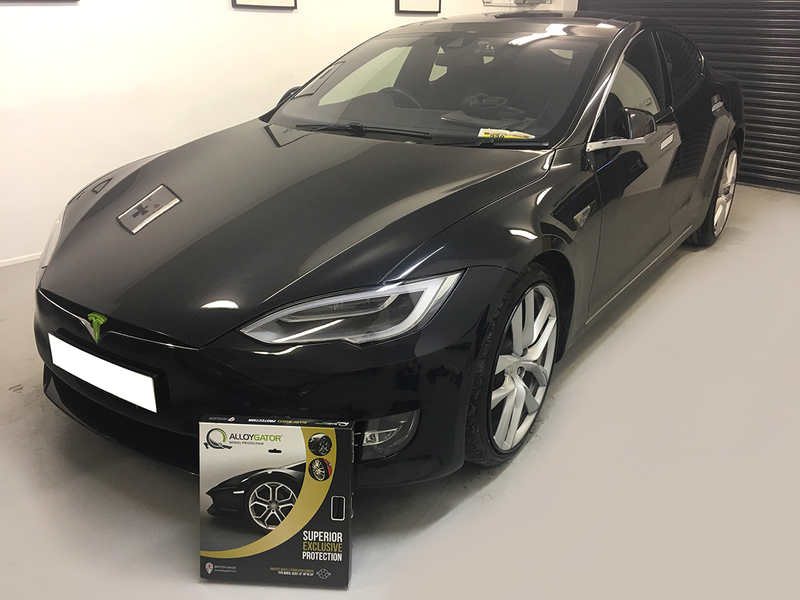 Providing there is no minute damage to the wheel surface, fitting the “AlloyGator” wheel rim protectors will not cause damage on its own, however AlloyGator Limited accepts no liability if the product when fitted causes such damage. Taking the above into account, we do still have many customers with machine polished wheels, that choose to use alloygators to protect their wheels.